The AEA RPQ2 Ribbon Preamp provides two channels of high-quality, high-gain, low-noise preamplification with a rich and musical sound that complements the natural tonality of your microphone. Specifically designed for ribbon microphones, the RPQ2 excels at drawing out the warmth and lush sound that ribbons are uniquely known for. With 81dB of gain, JFET circuitry, and an input impedance of 63K Ohms, the RPQ2 delivers the precision, quietness, and headroom needed for today's high-resolution recordings. 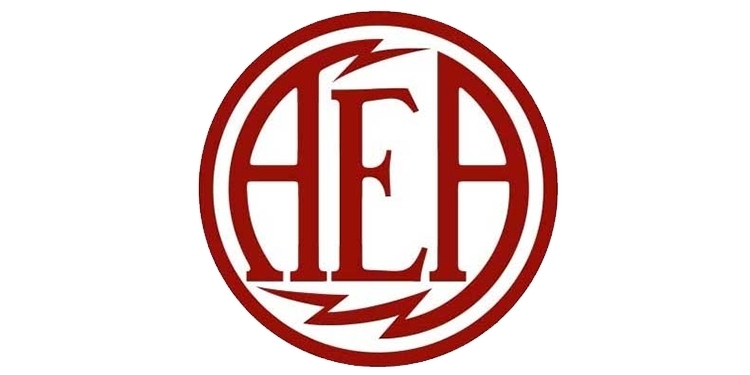 The RPQ2 is AEA’s second iteration of the high-performance RPQ preamp with the addition of some new and useful features. It is now possible to plug your instrument directly into the RPQ2’s high impedance circuit with its front-panel direct inputs. The RPQ2 also includes a Mic/Line switch for balanced line inputs and outputs, as well as inserts for patching compressors or other effects between the preamp and CurveShaper™ EQ section. The RPQ2's CurveShaper™ EQ gives you the tools to control your ribbons right at the start of the signal path. Switchable and tunable low frequency (LF) and high frequency (HF) controls allow you to tame proximity problems and provide high-frequency extension and slope control. Engineers have discovered that the RPQ2 is a perfect fit with condensers and moving coil microphones. By virtue of its sonic qualities and versatility, the AEA RPQ2 is the tool of choice for all microphones whenever a true and pristine signal path is desired. Detailed and accurate, the AEA RPQ2 is a high-quality, high-gain choice for all microphones. The CurveShaper’s™ high-frequency filter boost enables you to add a little extra “presence” or “air” to your source. The circuit functions in a similar manner to a conventional parametric shelving boost, but with a significant difference: the slope varies as both the CurveShaper™ and HF Gain controls are adjusted. This unique bell curve was designed with the intention to compensating for the high-frequency roll-off that is inherent to most ribbon microphones. But beyond ribbon mics, the smooth HF filter is remarkably well suited for brightening up condenser microphones used at a distance, restore presence in overly “dry” acoustical environments, or even as a clean and transparent air-band boost on the 2-bus. The CurveShaper’s™ low-frequency control easily removes boxiness and boominess in a fast and unobtrusive way. Ribbon microphones are capable of delivering strong subwoofer lows, and can have a significant bass proximity effect. Such strong low-frequency content can mask high-frequency intelligibility, so the tunable LF filter was engineered to tame low-frequency energy to appropriate levels. Its -20dB shelving curve is ideally suited to reduce excessive proximity effect, opening up new possibilities to use ribbons in close-up applications. With mixing consoles disappearing from control rooms, dedicated preamps can take on the role of providing a high-quality front end, giving you intuitive control to make critical decisions during tracking rather than “fixing it in the mix”. It’s no wonder why many mixing and mastering engineers turn to the RPQ2 purely for its post-processing EQ and routing functionality. 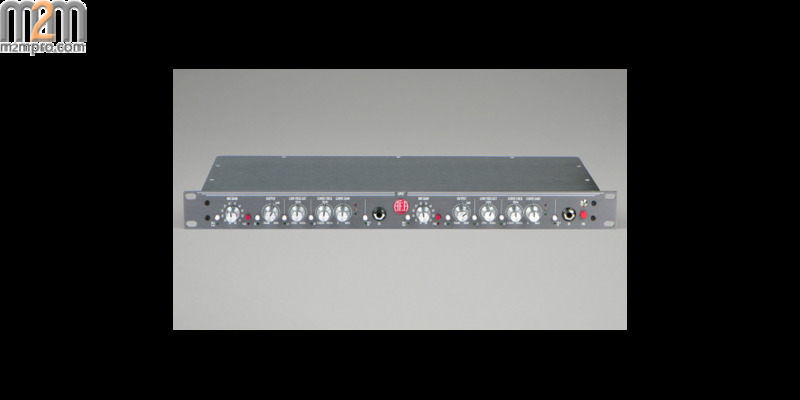 The RPQ2 provides a secondary line level balanced output for sending an additional line signal to a separate recording device or mixer. 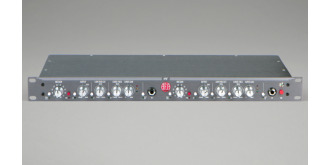 In Line Mode, the preamp and EQ section become two independent units with separate inputs and outputs. 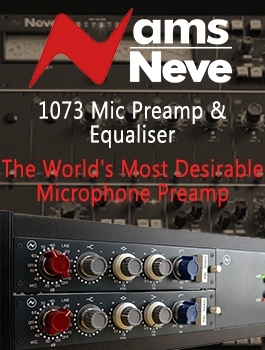 This allows you to insert compressors or other effects between the preamp and CurveShaper™ EQ section. Passive microphones like ribbons and moving-coil transducers interact with the input impedance of the preamp. If the impedance of the preamp is too low, the microphone will have to work harder to send a signal down the line. Additionally, the bandwidth (particularly in the low end) will be limited. For best voltage transfer, the impedance of the preamp should be at least five times the microphone’s output impedance. Many microphones have a nominal impedance of about 200 Ohms, leading to the assumption that a preamp impedance of 1.0 to 1.5K Ohms should be fine. However, passive microphones and ribbons, in particular, have an output impedance that rises towards low frequencies and can easily get as high as 1000 Ohms at resonance, resulting in a 6dB loss at this frequency with a low impedance preamp. A preamp impedance of significantly more than the commonly seen 1.0 to 1.5K Ohms is beneficial for all passive ribbons and moving-coil microphones.